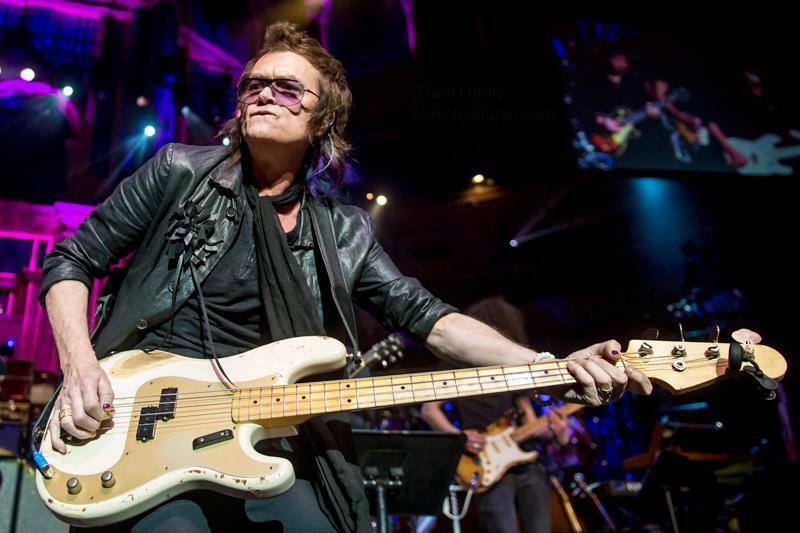 Glenn Hughes cut short the opening night of his New Zealand tour in Christchurch on Tuesday due to what witnesses called "some sort of a medical event." Currently on the road playing his first full concerts of classic Deep Purple material in 40 years, Hughes performed two shows in Australia before the Christchurch show. Stuff.co.nz reports Hughes left the stage at the Horncastle Arena with 15 minutes left of his set and spent the night in a Christchurch hospital after being assessed by doctors who said the rocker was suffering from dehydration and fatigue. Tour publicist Sandra Roberts said Hughes' promoter, Simone Williams of Liberty Stage, had described the singer as "comfortable and resting," with Roberts adding that he "has been given a clean bill of health and the all clear to continue his New Zealand tour." Hughes is scheduled to perform at Wellington's Michael Fowler Centre on September 27 before returning to Australia for two more dates before wrapping up the trek in Auckland on October 3. Deep Purple disbanded in 1976, only to see the Mark II lineup reform in 1984. Hughes and the early lineups of Deep Purple were inducted into the 2016 Rock And Roll Hall Of Fame at a ceremony in New York in 2016 alongside fellow honorees Cheap Trick, Steve Miller, Chicago and N.W.A. The bassist recently regrouped with Black Country Communion for a new album, “BCCIV”, which was released last week.